The Durango Police Department responded to 95 calls and made 43 arrests during the Snowdown weekend. Snowdown revelers may have dressed classy for this year’s theme, “A Black Tie Affair,” but for many, their conduct was far from sophisticated. 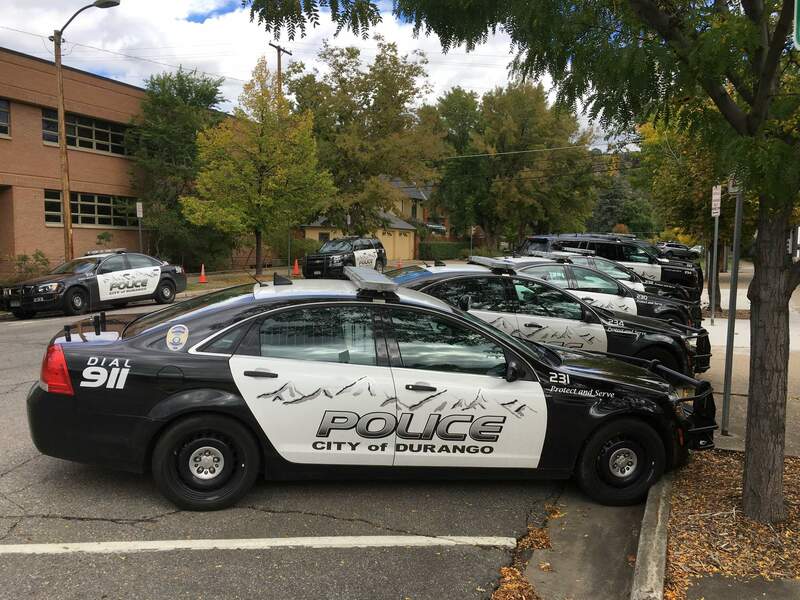 From Thursday to Sunday, the Durango Police Department responded to 95 calls and made 43 arrests – more than triple the amount of calls for an average weekend in Durango, Cmdr. Ray Shupe said Monday. Knowing the bulk of activity is going to occur during the late-night, early morning hours, Durango Police operates Snowdown weekends with two shifts: one that runs 4:30 p.m. to 2:30 a.m. and another from 9 p.m. to 7 a.m.
That way, Shupe said, the two shifts overlap as the bars close around 1:30 a.m., which allows for 10 to 12 officers to be on duty. But even that may not be enough to handle the drunken debauchery. On Saturday night, for example, Shupe said police had to respond to five separate disturbance calls (i.e. fighting, pushing and shoving), all at different locations outside the bars on Main Avenue. “Having five disturbance calls all at the same time was definitely a strain on our resources,” Shupe said. The incidents resulted in an arrest for third-degree assault and criminal mischief as well as an arrest for a warrant. Though not all of the 43 arrests are linked to Snowdown activities and revelry, the majority involved open container violations, disturbance calls, disorderly conduct and even “obscene conduct” that can be associated with drinking. On Saturday, for instance, police responded to Applebee’s Grill & Bar around 2 a.m. after several people were reported to be fighting. Police made an arrest. And on Sunday, a man “possibly intoxicated” walked into traffic on North College Drive around 1:15 p.m., according to the blotter. Police ended up making an arrest. In that same time frame, a total of 11 DUI arrests were made, six of which occurred on Friday night after the Snowdown Light Parade. “Six DUI arrests on one night is pretty high for even a Snowdown weekend,” Shupe said. On Saturday, a DUI arrest was made after a white Jeep hit a trolley outside the Strater Hotel around 8:30 p.m. No one was injured in the accident. Two hours earlier, an unidentified suspect driving a white 2003 Volkswagen Gulf hit four parked vehicles in downtown Durango and then fled the scene. The car was found in the parking lot of south City Market, but the driver had taken off. Shupe said anyone with information on the incident is asked to call Officer Joshua Petersen at (970) 764-5353. Also from Thursday to Sunday, Durango police issued 47 citations – 41 of those were parking tickets and six were traffic tickets. And, of course, with Snowdown weekend comes calls of the absurd. Like when someone called police at 10 p.m. Friday to report Colorado Pongas was making the caller wait in line to regain entry into the bar after he or she stepped out to have a cigarette. The La Plata County Sheriff’s Office did not immediately provide information about its call volume last weekend. A spokesman for the Sheriff’s Office said it had no DUI arrests over the weekend. Colorado State Patrol said the agency would provide information later today.